There is no mention of either Elisha’s Farm or Richard and Mary Smallbone on the 1851 census, although a Charles Smallbone is described as a “visitor” at Bartletts Farm. He was a man of 46 years of age and his occupation is recorded as a “Farmer’s Son”. Perhaps there is a connection? 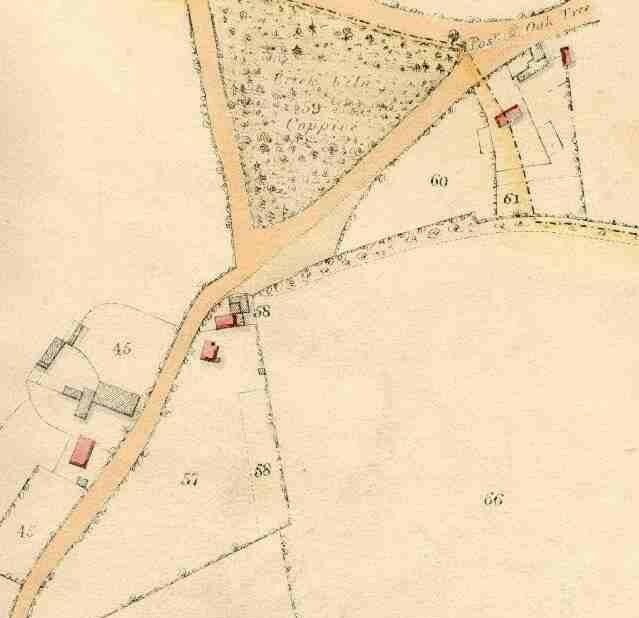 For comparison, here's a section of map (on a different alignment) showing St. Bartholomew's Church with Brick Kiln Coppice alongside.